East End Folks: Upcoming Bookbinding Class! I’ll be at the gorgeous studio-shop of Gotamago on June 9 teaching the popular Bookbinding Sampler class. If you missed it last time, now’s your chance! In this sampler-style bookbinding workshop students will learn the tools of the trade with easy, softcover bookbinding techniques to create unique, handmade books. Everyone will leave with three finished notebooks, made by (their own!) hand. For more information and to register for this class, please go here. The Bookbinding Kits are on the move again! I’m so happy to announce Sprouts Press newest retailer: The Ogden Museum of Southern Art in Louisiana! Yippee! I’m slowly building up a roster of select bricks-and-mortar shops that carry my pieces. I like the idea of growing this side of my business at a measured pace to ensure quality. If you don’t follow Sprouts Press on any social media platforms, you may have missed a couple of the other new retailers. Please welcome the Spacing Store, right here in Toronto, Twist Creations Boutique, in Quebec, and the Craft Ontario Shop on Queen West! Woot!! To see a full list of fine retailers carrying Sprouts Press products, please go here. After a bit of a break from it all, Sprouts Press is back and ready for a new year! To start things off I’d like to introduce my newest retailer; Twist Creations in Quebec!! 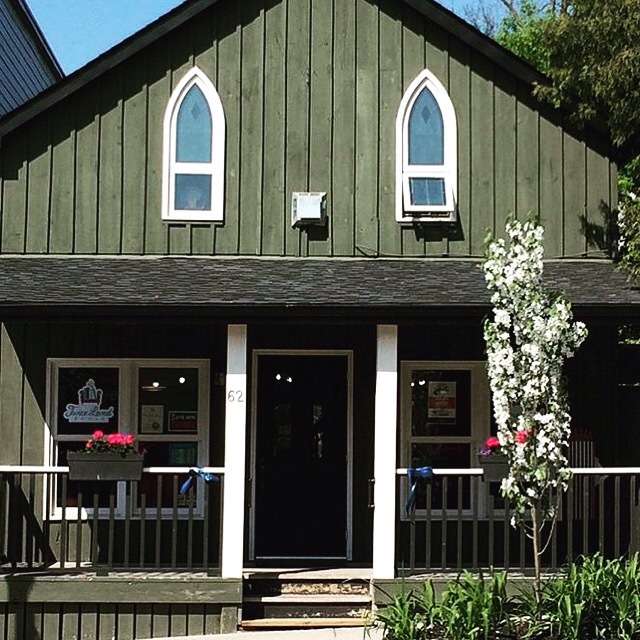 This is a lovely boutique, with two locations, that I’m so thrilled to be a part of! They have both sizes of leather journals, in all the colours. In other news the first Sprouts Press Newsletter for 2017 will be going out this week. If you’re not already a subscriber why not give it a try? I send one email per month about bookbinding, upcoming classes & shows, latest projects, ideas to use your journals, and sometimes contests or giveaways. Sound like fun? Go here to subscribe! I’m so happy to announce that you can now find Sprouts Press products on Brika.com!! Woot!! I’ve been impressed with this site and it’s well-curated collection of handmade items for a while now. So naturally, I’m over the moon to be the featured maker this week!! “Carolyn Eady’s first job was at the public library, back when she was starting high school. She loved reading and writing before, but this constant exposure to books and the world of publications was new to her. She was blown away by the diversity of what a book could be, and loved every minute of it”.